Wondering what happens to your bank account when you go bankrupt? This section explains when your bank account will be frozen or closed. We show you how to plan ahead so your income and bills are not affected. Plus we tell you how to get a new bank account, what you get and where to apply. 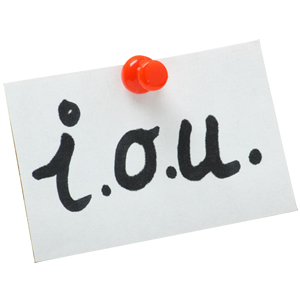 When you are declared bankrupt, the Official Receiver will inform your bank immediately. This is because they have to protect your assets for the benefit of the bankruptcy estate. Your bank will more than likely freeze your bank account, so you will not be able to use your cash card, pay money in or take any money out. If you wish to keep using your bank account then you need to contact your Official Receiver. It will then be up to the bank whether or not they allow you to continue using the account, or if they close it for good. Money in any bank account in your name at the date of the bankruptcy order is an asset in the bankruptcy. If you have a joint account, the Official Receiver will decide how much of the money to release to each of the joint account holders. Any overdraft will be included in the bankruptcy. If your bank account is in joint names, all parties are jointly responsible for the whole debt. This is the same for any joint credit agreement. So the bank can ask the joint account holder not facing bankruptcy to pay all the money owed. If you are bankrupt then you will need to open a basic bank account. This just means that you will not be able to get an overdraft on the account, or a cheque book. Other than that you will get mostly the same feature as a regular current account. Most basic bank accounts will give you a Visa Electron debit card, so you can make payments in shops and online. Some also offer online banking. All basic bank accounts allow you to set up direct debits and standing orders,which is important as this can make bills cheaper than paying by cash or cheque. All banks must provide basic bank accounts, but some attract monthly costs and charges for failed payments. In January 2016 most banks, after they were encouraged to do so by the Government, introduced new range of basic bank accounts which do not incur any charges. These new bank accounts have made it far easier for people who are going bankrupt, and those in bankruptcy to get a new bank account. Once you are discharged from bankruptcy it may be possible to upgrade from a bankruptcy bank account to a regular current account. If you're at least 18 years old and live in the UK, you can open an account with Monese, regardless of your citizenship or financial history. Forget the stress of dealing with traditional banks, it's time to move on. Their accounts are 100% mobile, you don't need to provide UK proof-of-address and they don't conduct credit checks. Simply install their mobile app, and you'll have a full Current Account in minutes - which you can then control entirely from your smartphone. With Monese you get the ability to receive your salary, shop online, make purchases at stores, and withdraw cash from ATM's. Monese provides you with a fully functional UK GBP account number and sort code, a MasterCard contactless debit card, and access to speedy customer support. All you have to do is download the Monese app from the App Store (iOS) or Google Play Store (Android) and it will take you through the sign-up process in a few minutes! You simply need to be ready to take a photo of your ID documents (National ID card, driving license, or passport) and a quick video selfie of yourself. You will also need to have a valid and unique email address and a mobile phone number capable of receiving text messages. Far easier than making an appointment and going into a local branch of a bank. REMEMBER: They don't do credit checks, you don't need to provide UK proof-of-address and your account can be open in minutes. Ten highstreet banks currently offer completely fee free bank accounts. We've listed the facilities they offer, such as type of debit cards and whether they offer online and mobile banking. Often your choice will come down to whether they have a local branch. You should also consider if you are going to open the account before you go bankrupt. See Should I open a new account before going bankrupt? Notes: Withdraw cash from any UK cash machine or Post Office. Notes: Contactless payments. You can take money out and make purchases abroad (fees will apply). Notes: Free everyday banking with no monthly fees, or charges for accidentally going overdrawn. Free text alerts. Notes: Bank your way with Internet Banking, Mobile Banking, Telephone Banking, in branch, and also sign up for free Text Alerts. Notes: Earn 1.00% Gross1/AER2 (variable) interest on the balance you hold in your account. Notes: Withdraw up to £350 cash per day. Is it guaranteed I'll get a bank account? Apart from a couple of exceptions, anyone can open one of the new basic bank accounts. The only people who can't have a basic bank account are people with criminal convictions for fraud (people with other convictions can still apply and be accepted, subject to fulfilling the other account-opening criteria) or people who fail the bank's ID checks. You will need to give the bank some identification before they will open a basic bank account. This is to comply with money-laundering regulations. What ID do I need to open a basic bank account? You basically need proof that you are you. Benefit books or benefit entitlement letters (pension credit, child benefit, income support, disability and jobseeker's allowance). If you can't provide any of the above forms of ID, you will need to contact the bank to explain the situation, they will be able to tell you if any other ID is acceptable. Can I stay with my Current Bank? Once you have gone bankrupt it is possible that your current bank may re-open your account or open a new one for you. However this may take a few weeks and it is not guaranteed, it is often easier to just open a new account with a bank you haven't had an account with before. If you don't want, or are refused a basic bank account, then there are some other alternatives you can try. Credit Unions are organisations set up to benefit the local community they set up in. A few credit unions now offer bank accounts, and most of these allow undischarged bankrupts to get them. You can find your local credit union and find what they offer at	the ABCUL's Find Your Credit Union website. Just enter your postcode and they'll show you what's available. Or you can call ABCUL on 0800 015 3060. If you get benefits, pension or tax credits, and you don't have a bank account for them to be paid into, then the Post Office Card Account is perfect. To get an account set up, you’ll need to contact the government department that pays your pension, benefits or tax credits. Just let them know you’d like to open a Post Office Card Account. Once the Post Office have opened your card account, you’ll start receiving payments straight into the account. You'll be able to take your cash out or check your balance at any Post Office branch. Don’t worry, there’s no overdraft facility to worry about – and if you need someone else to collect your money for you, they can sort you out with a second card. Should I open a new account before going bankrupt? This is a good idea as it will allow you to get your salary and any benefits paid into the new account. It will also let you set up all your direct debits, standing orders etc. for your household bills to come out of the new account, so things run smoothly when you go bankrupt. Your new account is with a bank that you do not owe any money to, or the bank may help themselves to the money in your new account using their “right of set off” clause in the small print. If you're at least 18 years old and live in the UK, you can open an account before going bankrupt with Monese, regardless of your citizenship or financial history. It will NOT BE FROZEN when you are declared bankrupt. REMEMBER: Monese don't do credit checks, you don't need to provide UK proof-of-address and your account can be open in minutes. 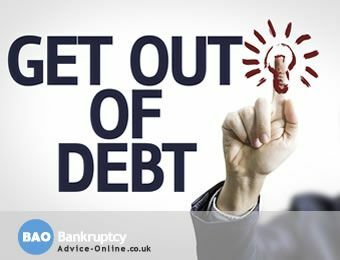 Need bankruptcy advice? Just click here and our experts will send you their answer by email within 1 working hour.